Hindi Medium 3rd day collection: Irrfan Khan’s film had a good opening weekend with the collection of 12.56 crores. Irrfan Khan and Saba Qamar starrer Hindi Medium has emerged as a surprise package. Released with almost zero expectations, the movie has been loved by the audience and critics. After an average opening with the collection of 2.81 crores, the movie has shown tremendous growth over the first weekend. It grows from strength to strength to end the first weekend on a solid note. Irrfan khan starrer witnessed good growth on its third day. Released on 1100 screens, the movie saw around 100% on Sunday compared to the first day. As per the reports, Hindi Medium 3rd day collection is 5.5 crores. The collection could have been higher if the evening and night shows were not affected by IPL final match. The movie witnessed tremendous growth over the first weekend. Let’s have a look at the first weekend box office collection of the movie. The reviews have been superb and it seems that it will play a long inning at the box office. 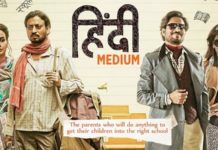 Hindi Medium is Irrfan Khan’s highest opening day, opening weekend grosser as a solo actor. His movies generally don’t work at the box office. The total budget of Hindi Medium is 23 crores which include 8 crores of promotion and advertising cost. The movie needs to earn 30 crores to be called a hit. The producers claim that they have covered around 10 crores through music, satellite, overseas and digital rights. 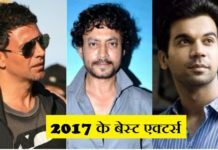 Considering the current pace, it seems that the movie will make it to the list of 2017 hit movies.